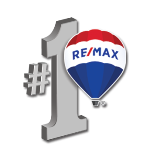 The Clinkenbeard Extreme Team is here to help with selling your Central Kentucky property as quickly as possible! With an intimate knowledge and years of experience in the area, we are dedicated to getting the most out of your hard-earned equity and making sure your property is sold smoothly and efficiently. Simply fill out the details below so we can find out more about your home and one of our agents will contact you directly.